Facebook is plummeting further and further down the ad-driven rabbit hole, and in its most recent earnings call the social network said it wants auto-play video ads to be a common sight in your news feed. Facebook launched video ads in March this year. Some of those video ads - as well as some videos posted by your Facebook friends - play automatically, though the ads are currently muted by default. "Those are going really well and I think explain some of the growth we're seeing in our ads business," Facebook Chief Operating Officer Sheryl Sandberg said during the company's first quarter 2014 earnings call. "We also have been in early conversations with some clients about what would be a CPM [cost per impression] auto-play video ad. "And in terms of the expectations for that, we really want to see auto-play video ads be something that's pretty common in the news feed experience, based on consumer usage, before we push very hard in the ads business." 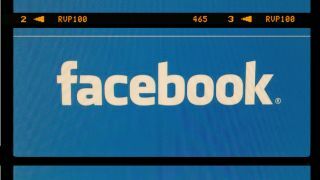 Facebook's current forays into advertising, like the mobile ad network the company is testing, are admittedly somewhat exploratory. But there can be no doubt that Facebook will "push very hard" into advertising soon, and that apparently means users will see even more auto-play ads. "Video represents a really big opportunity, really driven by consumer behavior. Smartphones are getting better and faster, and more people have phones that can provide a great video experience," Sandberg said. She continued, "There's also a lot more video going through the feed that consumers are putting in, and that creates an opportunity for us both on the consumer side and on the ad side." In a post-call email blast, Facebook referred to its forays into "premium video ads" as an area of "long-term investments and thoughtful roll outs, as we're focused on the user experience first and foremost." It included Instagram ads and the mobile ad network in the same category. Overall Facebook's revenue from ads grew 82% year-over-year in the first quarter of 2014, with a 72% increase in revenue overall. It was the company's strongest year-to-year ads growth rate in almost three years. In addition, Facebook reported that 59% of its ad revenue now comes from mobile users. "Our goal is to make news feed as engaging as possible," Sandberg said on the call. "I'm sure your friends love seeing your kids play basketball [in videos on their news feeds]. I think they'd probably like to see more of those. "And when and if we deliver a really great ad experience, an ad that you love, something you're interested in, I think they're going to like that just as much."